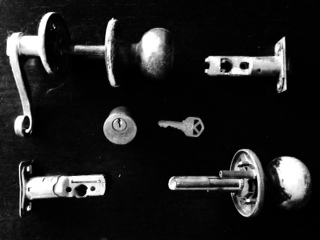 Recently, our little 1 year old son, Jayden, has been obsessed about playing with keys and locks. Yesterday, he grabbed my keys when we came home from the mall and began cruising around the house, jabbing and sticking my keys into anything that might resemble a door knob or lock. He found a door and my wife held him up to door knob for him to try his luck with the keys. However, Jayden had decided to use the wrong key for the lock, and he was crying because the lock did not fit the key. He looked up at my wife with tears streaming down his face, asking for her to help him with the lock, but at the same time, refused to let go of the keys so that she could show him the right key for that door. My wife couldn’t have done anything about the lock, if the key did not fit. It was a conumdrum our little boy was stuck in with no resolution, unless he was willing to give up the keys and let us help him. It made Winnie and I think about how this situation parallels our life circumstances and God sometimes. We may be in the crux of a conflict, holding tightly onto a key that we think will solve the situation, when in reality, it is the wrong key to unlock the situation. However, at the same time, we tearfully ask God to help us without relinquishing our thoughts, ideas, biases, opinions, and overall control of the whole situation. The funny thing about the situation with my son was that he actually had the right key on that same key ring. All my wife wanted to do for Jayden was to switch out the key that he was holding. 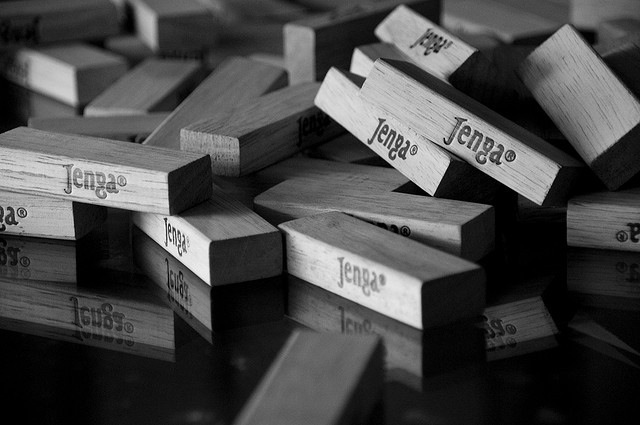 I’ve noticed a lot of people have checked out my previous post “Jenga Anxieties and Worries.” Here are few more thoughts that I’ve came up with lately to add onto the topic. Please take a look at the previous post, if you haven’t read it already — it will help give you a better context to what I am talking about. Thank you for reading! Please leave a comment, I would love to hear what you think! 1. At the end of the game, and after you’ve talked about or processed with your child or client their worries and anxieties, have them write down their anxiety and worry on one of the blocks. Give it to them as a momento or souvenir, reminding them what worry and anxiety can do to them, if they don’t ask for help, share their burdens, or when take on too many things. Just make sure you have plenty of extra blocks before you start giving them away. 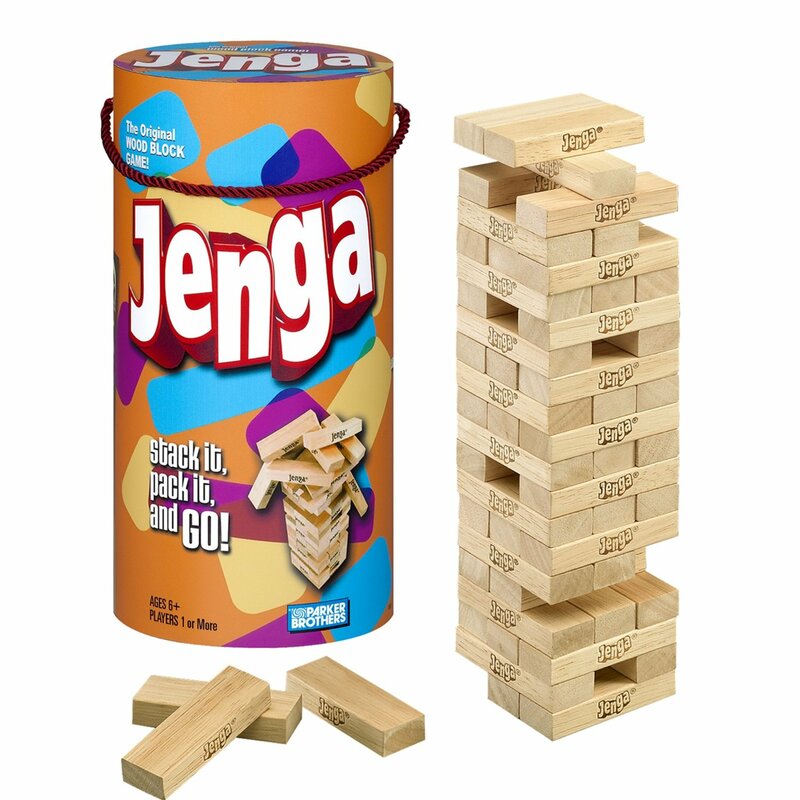 Therapists, another idea is to do this with more of your clients, letting them write down their anxiety or worry on a piece of Jenga block, and begin a collection of Jenga blocks to use for the game. So, whenever you pull out the game to play, other clients would be able to see and read what previous clients have wrote down on the blocks, and it would help them normalize what they are going through. This will help them feel that they are not alone. Of course, have your clients anonymously write down their worry and anxiety. 2. This second idea is a demonstration of stress while playing Jenga. 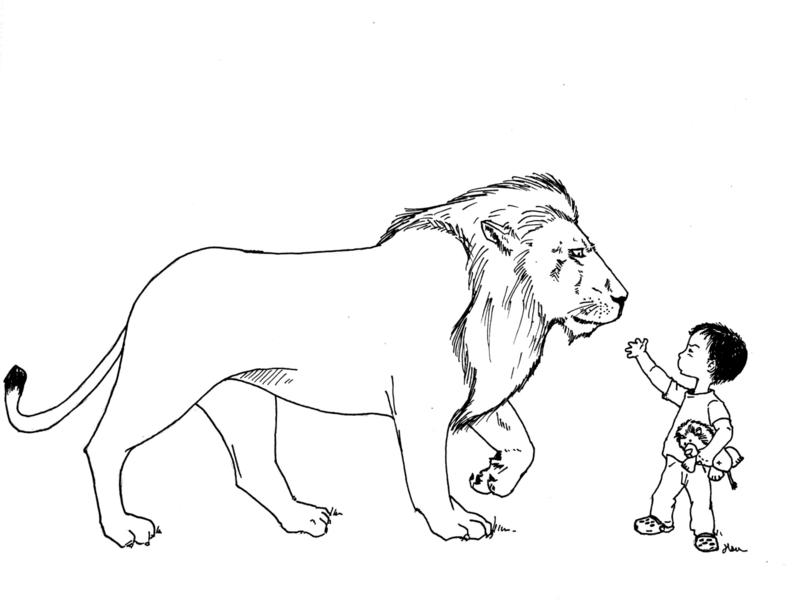 It is not to be used as punishment, nor to purposely thwart or discourage your child or client. It is to help them see how stress could affect their performance when playing this game. After the first round, ask your child or client(s) to carry/hold one textbook (preferably those big, thick history, social studies, or math, or science text books) in one of their hands as they pull out their Jenga brick. With each additional round, ask them to add another text book to their hand before they proceed with their turn. After the tower falls, process with your child or client(s), ask them: how did it feel to have the extra weight when they were playing the game? Was it harder to concentrate or focus with additional burdens while playing the game? What can they connect these extra burdens to what is going on for them in their own life? Ask them what they can do to unload those extra burdens in their own life to help them better manage the things they need to do? This demonstration is also good for kids who struggle with ADHD, and teaching about concentration, coping skills, and self-care when one is balancing too many things in life. With the kind of stress and schedules our high school kids are having in order to get into college, this activity may be good to help them realize the effects of having too many things on their plate. Hope this is helpful! Enjoy! How to Survive the Social Network with Your Heart Intact? I got this shirt from Target a few months back, and I’ve gotten so many comments from people when I wear it. Most of the comments are from people who totally agree with what the shirt said, and there was even a guy that wanted to buy it for his friend, who he claims is constantly guilty of this. One of the amazing things about Facebook and all other the social networks is that anyone and everyone can have a platform for their life. Some people truly use it to connect with others, but some really just want to show off. Nothing could be more annoying than when you’re trying to have real, authentic connection with people and they start posting pictures and thoughts that are outlandishly self-referential, insensitive, and just blatantly boastful. Yesterday, my wife showed me a news article on a Christian actor that posted online about how his wife did not feel any pain when she was giving birth to their first child — which is pretty cool if he could have stopped writing right there — however, he credited their painless delivery to the fact that they were Christians who lived blameless and pure lives. I cringed when Winnie told me about it. It is quite painful to hear something like that, and he actually got quite an earful from hundreds of people responding to his post. 1. DON’T GET ON FACEBOOK (OR YOU’RE PREFERRED SOCIAL NETWORK) WHEN YOU’RE ANGRY, LONELY, SAD, OR HUNGRY. Be aware when you’re vulnerable. Try another social outlet that’s more direct; i.e., grab a friend for coffee, dinner, lunch, or a movie. Talk on the phone with a buddy. Do something else, like watch a comedy, walk your dog, go out in nature, do something creative or fun. The world is out there besides the computer screen. Seek to feed your heart and self-esteem beyond the social network. 2. RESTRICT AND LIMIT OTHER PEOPLE’S POST AND ACCESS. This is a way to self-care that may seem restricting but it could actually be freeing. Restrict and don’t allow access to everyone. Imagine yourself as a castle. Not everyone gets access into the city, and even less people gets access into the inner wall. And of course, the castle is restricted access to only those you trust. 3. CREATE YOUR OWN TRIBE. We all need close and intimate connections with friends and family. Start creating your own people. Ask and invite those who have shown trustworthiness into the inner castle of your life. It may feel awkward and weird, but it’s worth it. When you restrict access and create your own tribe, you actually give space for yourself by unplugging the negative or the irritating, and plug into what strengthens, inspires, and fills you. 4. PRACTICE BEING HAPPY FOR OTHERS. This is hard to do, and I do not suggest doing this by itself, straining yourself emotionally just because it is the right thing to do. Practicing being happy for others happens in the context of relationship and community, and it is an outflowing of knowing who you are and that you are loved. Doing this step by itself is pure legalism, but doing this within the context of knowing love is power. 5. 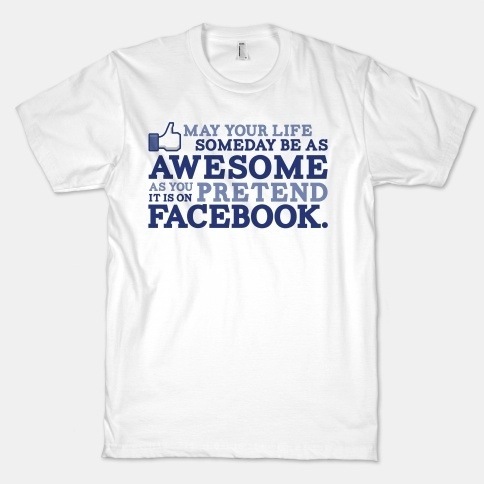 PRACTICE BEING REAL AND AUTHENTIC ON FACEBOOK AND IN REAL LIFE. Keeping it real and authenticitic are the new ways to be humble. If being pretentious separates people, let’s have the courage to risk in order to bring people closer together.